30% of the proceeds from each necklace goes directly to Dress For Success Toronto! 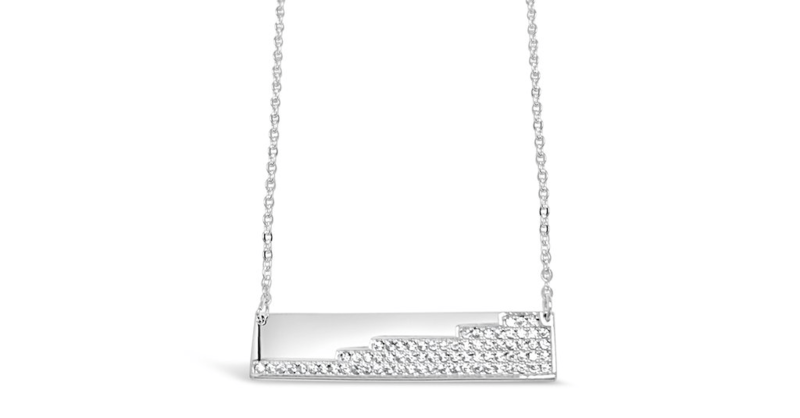 Designed by Mel Spivak for Samuel Kleinberg Jewellers in partnership with Dress For Success Toronto, proceeds from this necklace help empower women by providing a network of support, professional attire and the development tools to help women thrive in the workplace and life. As women we all have our power outfits. The perfect jeans, that go-to little black dress and the ultimate suit for any job interview. 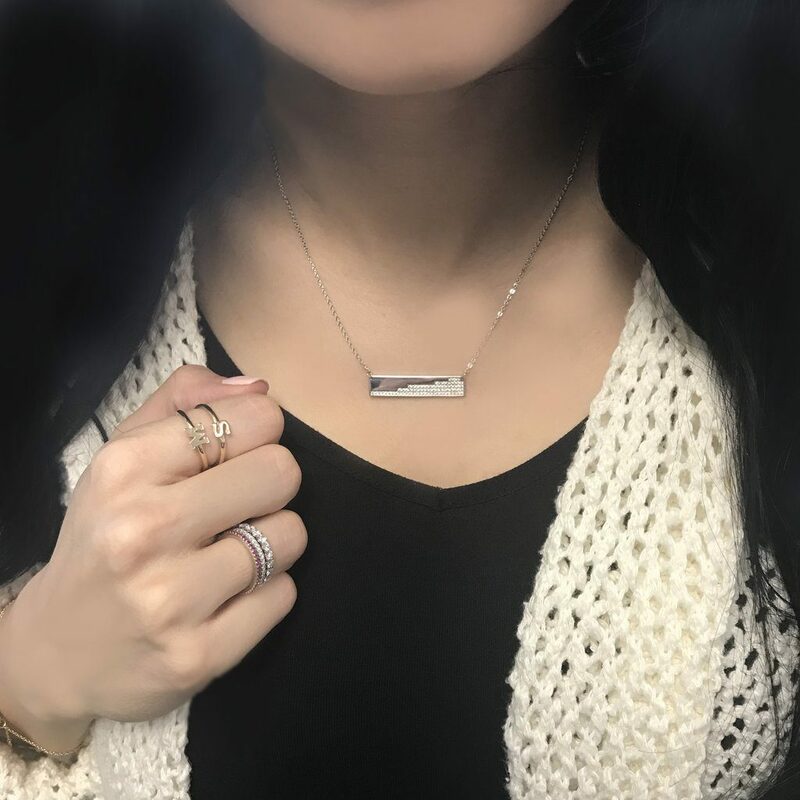 The ‘Raising the Bar’ necklace elevates any outfit as we climb our own ladder of success and helps raise other women up to reach their own goals. The Raising the Bar necklace was designed by Mel Spivak, co-president and lead designer at Samuel Kleinberg Jewellers, a Toronto jewelry institution for more than fifty years. The mission of Dress for Success® is to empower women to achieve economic independence by providing a network of support, professional attire and the development tools to help women thrive in work and in life. Dress for Success is an international not-for-profit organization that empowers women to achieve economic independence by providing a network of support, professional attire and the development tools to help women thrive in work and in life. Since starting operations in 1997, Dress for Success has expanded to more than 145 cities in 23 countries and has helped more than 925,000 women work towards self-sufficiency.